Happy St. Patrick’s Day! Doing anything fun? Green beer? Not here, we went for a run, tackled house work, saw a movie, and went to Costco which was actually great since it wasn’t crowded for the holiday. I may have even forgotten to wear green, oops. Last Sunday’s meetup at Vegan Plate worked out okay luckily. 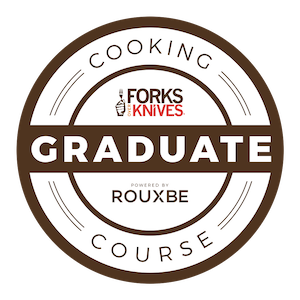 The maximum sized group the restaurant could take was 55, I set the limit at 45. But between the double postings of the event and possible shows on the Facebook event, we could have had over 100 so I was a little worried. We ended up with about 35 which worked out great. But I will still be limiting how these events are posted in the future to avoid that stress. 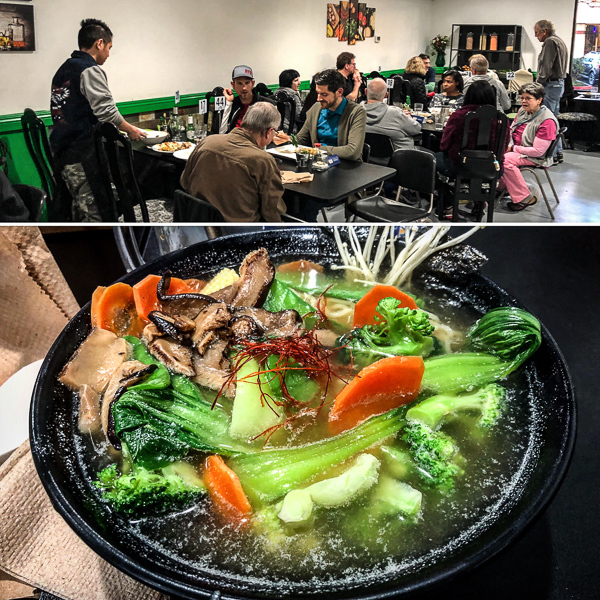 It was more popular than the monthly potlucks the Sacramento Vegetarian Society has, so I’m looking forward to arranging more of these types of events to try more local restaurants and just relax and socialize with other vegans. 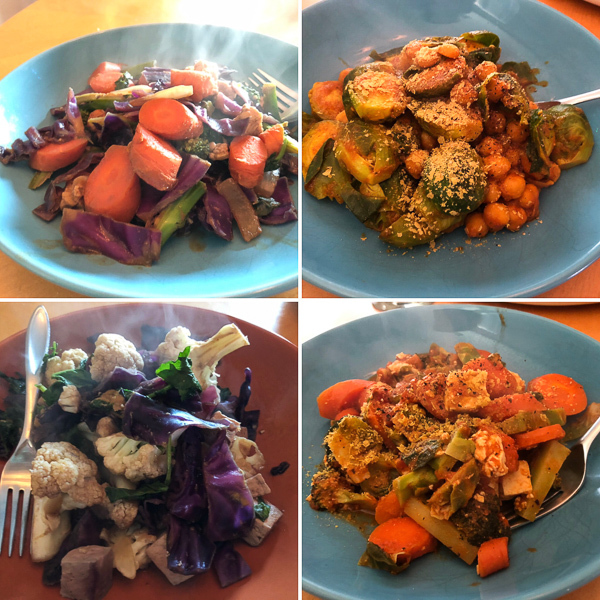 This has been an interesting week with a lot going on at work and next week probably being just as busy, I have not been great at getting creative in the kitchen and sticking with simple veggie stir fry dishes. The pups are doing fine, Miko has been a sweet and cozy lap buddy while Leela has been passing out in her favorite worn, nearly threadbare bed after walks. 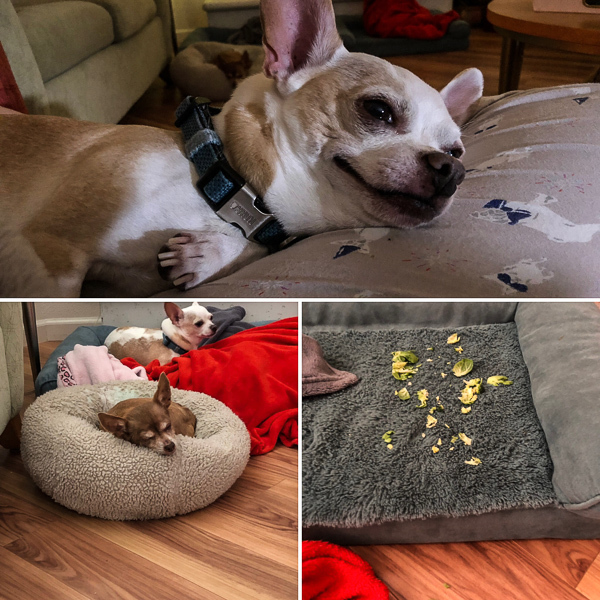 I gave Miko a chunk of raw Brussels sprout to try and he made a mess with it in his bed which Leela later found and ate. Saved me the clean up! We’re finally seeing more blooms here and temps in the 70s, feeling like spring now! But runs have not been that great this week, I’m dragging a bit with allergies and work stress. We did have a little fun with a festive dinner, hubby made vegan Shepherd’s Pie and I made this Corned “Beef” Seitan. I tweaked the recipe a bit adding tamari and liquid smoke for the Worcestershire sauce and added an entire can of beans and more spices to the dry ingredients. It came out a little softer because I didn’t wrap it tight enough in the tinfoil I think before steaming, but that actually worked better for a corned beef texture. 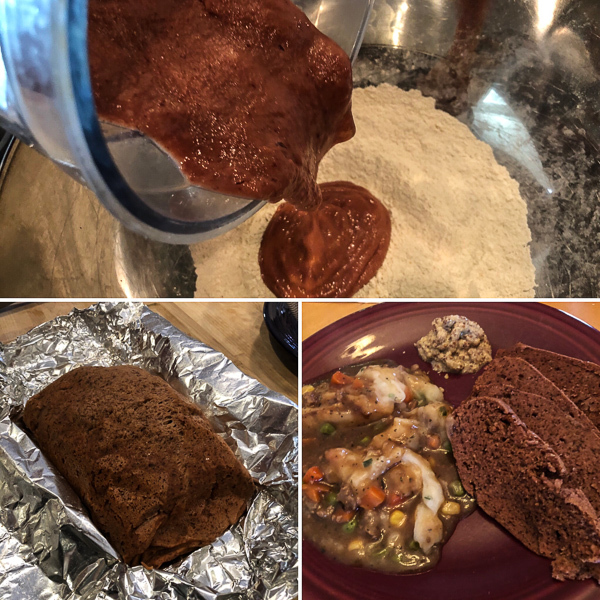 I’m still practicing and perfecting my skills when it comes to making seitan, but having fun too and want to start creating more recipes with it. This is a social media trend I could get behind. I love hiking and runs and seeing trash on them is very frustrating. Trader Joe’s is also working to cut trash. 5 swaps to reduce waste in the kitchen. A guide to using Just Egg. Yum, lots of inspiration. 9 best YouTube vegan cooking shows. Going vegan for the heck of it. Cute way to plant the vegan seed. Steve Harvey going vegan. Good for him and I hope it sticks! Superior vegan sour cream dips. Mmmm, have not had sour cream in ages and love that there are so many plant-based options. Gordon Ramsay embracing veganism is a positive sign of the times. Top vegan sources of calcium. Yes, this could be great news. I honestly forgot it was St. Patrick’s Day until I saw everyone clustered around the nearby Irish pub all decked out in green. Whoops! I’m also pretty thrilled by #TrashTag too. I’m planning to get in on the action today, since it is so gorgeous out. Yes, looking forward to more hikes and runs for #TrashTag! No green beer for me either. 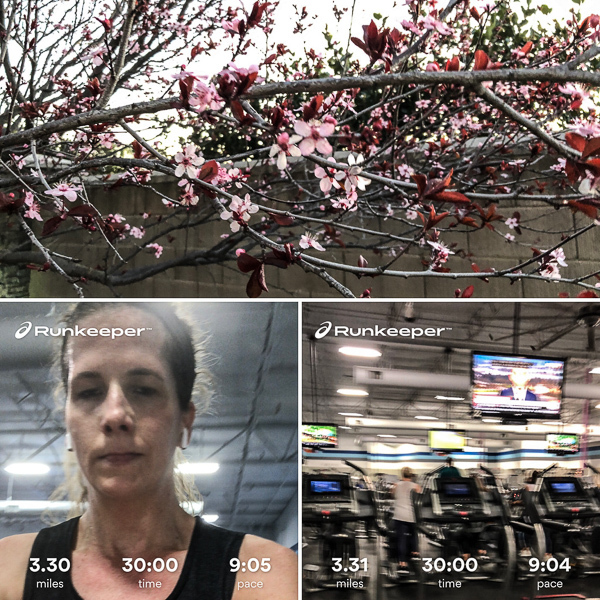 I had my first long run of my 1/2 marathon training on Saturday and since St. Patrick’s Day was on Sunday, I opted out. I wish I had thought to go to Costco on Saturday, it was probably quiet here, too. That’s awesome on half marathon training. Yeah, those long runs can be draining on weekends. Your blooms just made my day…gorgeous! Still snowing here. No green beer but the leprechauns did make the pancakes green! Tackling projects here, too! Boring. Aw, thanks and so sorry about the snow! Love the pancakes, how fun!